Another turnout from our NMRA Train Show display. 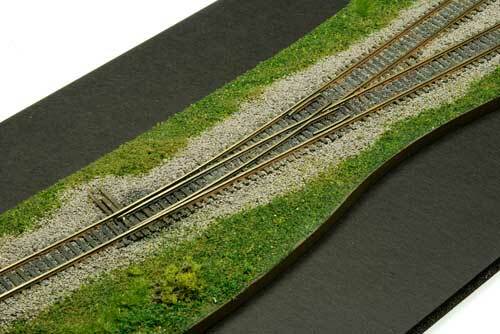 With a set of HO scale wheels for comparison, this Z scale code 40 turnout is very tiny. 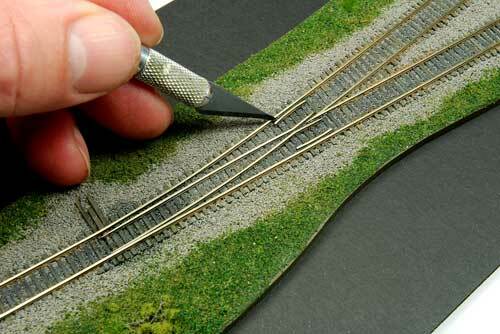 The tip of an X-Acto blade sitting on the guard rail of the Z scale turnout. The PC board and wood ties are a mere .040″ (1 mm) wide and are the smallest we produce. The pieces of ballast on the side of the rail just past the wing rail look like boulders in this shot, but they are actually no larger than a speck of sand. The frog is dwarfed by the HO scale wheelset shown here. I would love to build a Z scale layout one day! 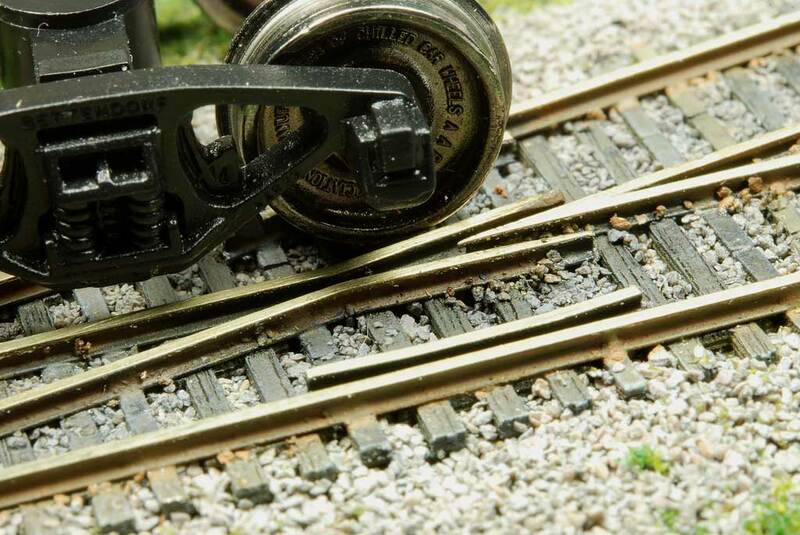 Maybe at this years Train Show I will pick up some Z scale locomotives and tinker a bit. 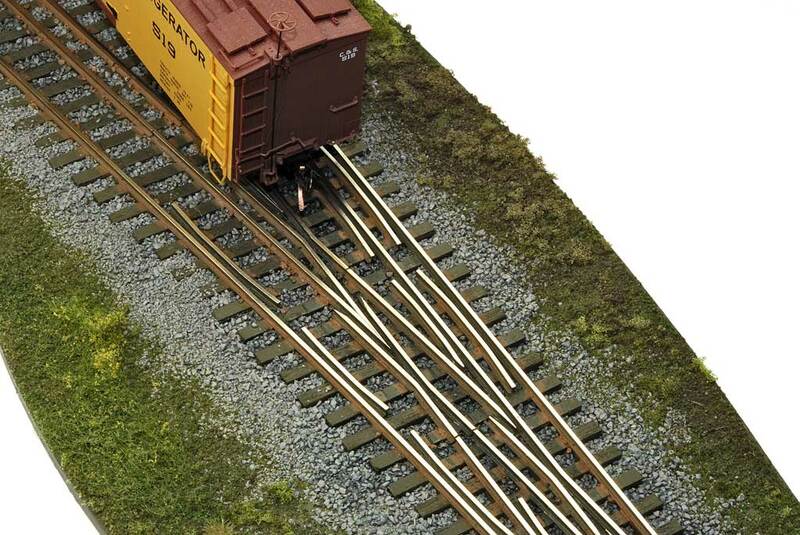 There really is some exquisite stuff available in Z scale. The lack of a switch stand on this piece is a glaring omission! Will have to see if I can find some in California. 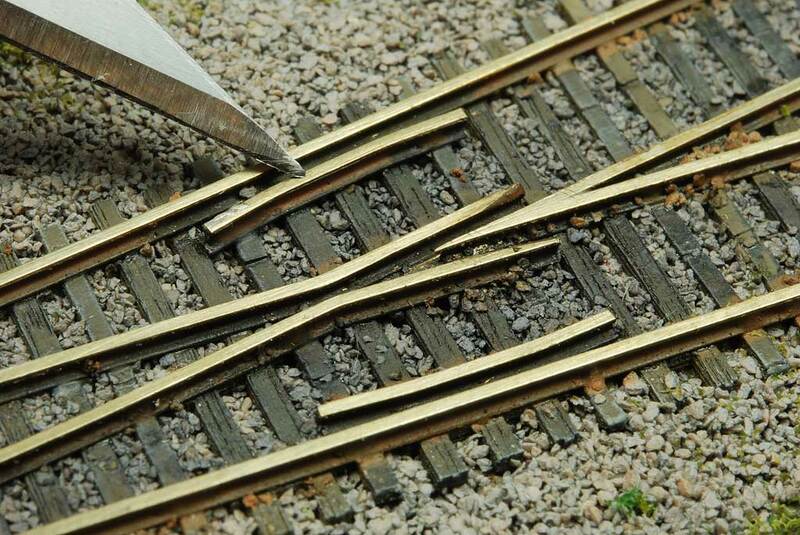 Believe it or not, this isn’t the smallest piece of trackwork on the display!� There is one smaller. 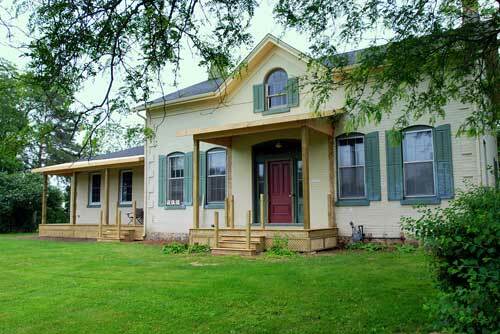 I'm your host, Tim Warris, a product developer in Port Dover, Ontario. Since March of 2007 I have been documenting the construction of the former CNJ Bronx Terminal in HO scale. For my day job, I design track building tools for Fast Tracks, a small company I own and operate. Fast Tracks makes it fast and easy to hand lay your own trackwork. Stop by our website to learn more! click on images for larger version…..
No, I’m not starting another layout. 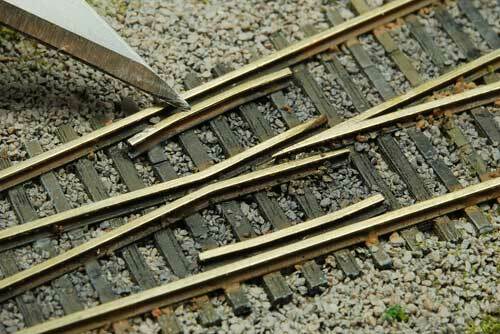 For the upcoming NMRA Train Show in Anaheim California next month I have built several displays of finished trackwork showing some of the numerous scales and gauges for which Fast Tracks produces fixtures. 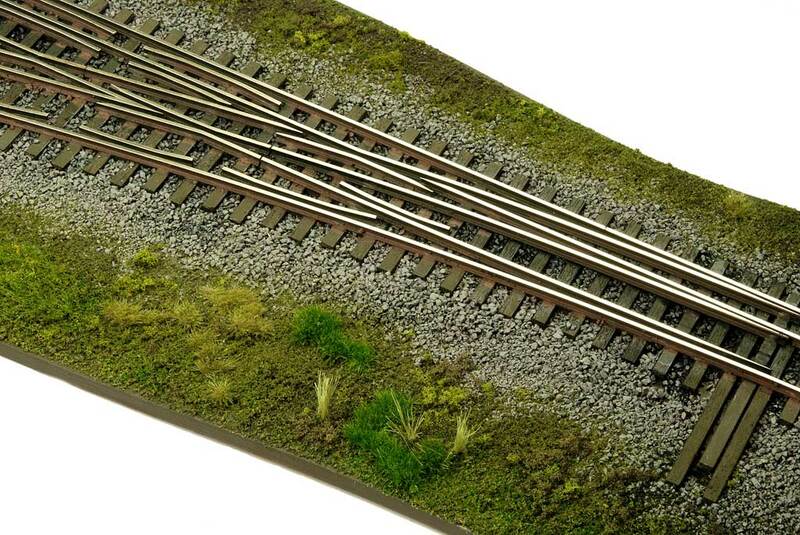 One of these displays is for Dual Gauge turnouts, like the example shown above. This piece, HO/HOn3 is code 70 and is built using our Dual Gauge Left fixture. 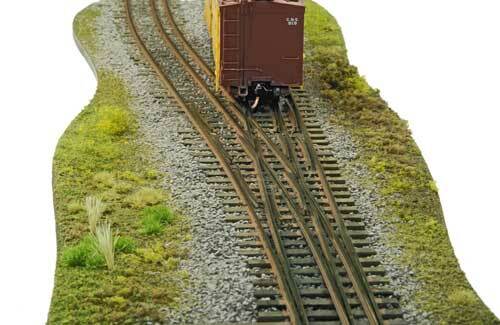 With dual gauge track, the narrow gauge portion can be either to the left or to the right of the standard gauge track is shares. This gets very confusing! Especially because there are left hand and right hand versions of dual left and dual right turnouts. 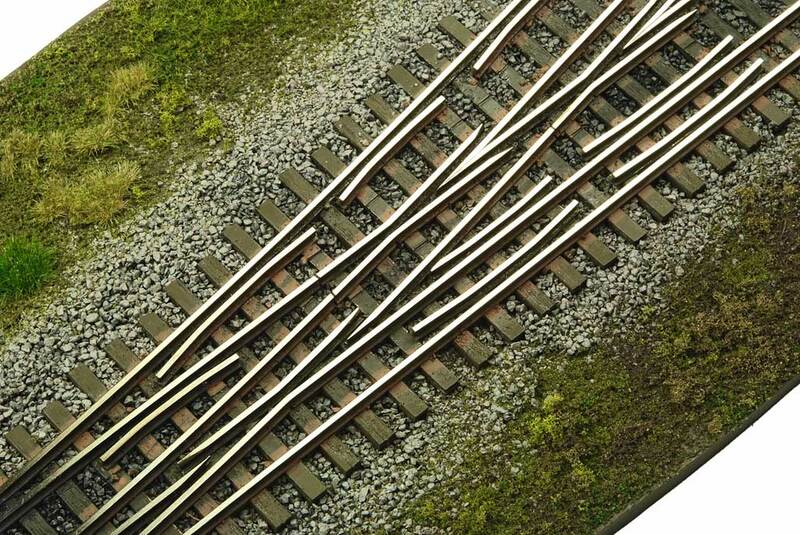 To make it even more fun, there isn’t always a turnout for both gauges, sometimes the narrow gauge will diverge, but the standard gauge will be straight. 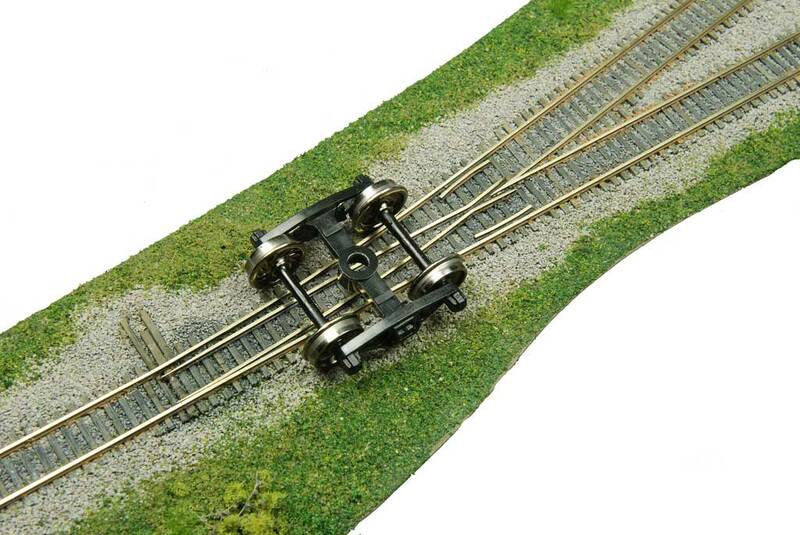 There are quite a few combinations, all of which can be built with the dual gauge fixtures. 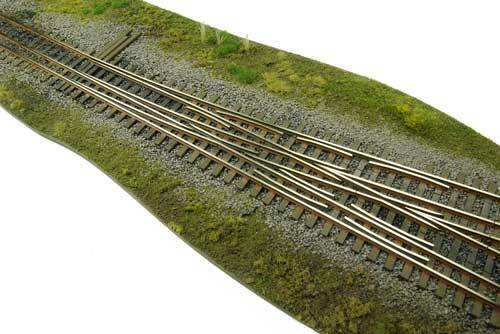 With all those rails its hard to believe the trains can find their way through the turnout! But they seem to manage…. There are several more pieces like this being displayed at our booth in Anaheim (booth 64-65). If you make your way down to California, drop by and say hey! click on images for large version…. 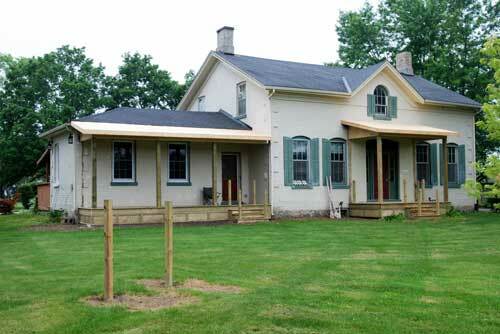 Early this week Ken finished up the lattice on the lower portion of the porches, finishing off the project. The results look great, we are quite happy with the way they turned out. A definite improvement over the rotting, crooked 120 year old versions. I wonder if these will last for another 120 years. With the construction complete, the next step is all the finish work. I plan to do that work myself later this summer and into the fall. All the posts will be wrapped with poplar and railings installed. New gingerbread will be added along with a few other embellishments. The ceilings inside will be covered with tongue and groove pine and varnished. Pot lights will be added, along with the obligatory porch swing. Once all the finish work is complete, new shutters will be added and the whole place painted. Still have not decided on colours, but I am envisioning four or five colours will be used. Once the old, disgusting aluminum screen door was removed the original front door could be seen. Its in very good shape considering its age so we do not plan on replacing it, just restoring it as best we can. When the screen door was installed they hacked all the decorative trim off to fit it in place, pretty much ruining it. I don’t see much of an issue to re-create it so I will do that when the rest of the finish work is done. 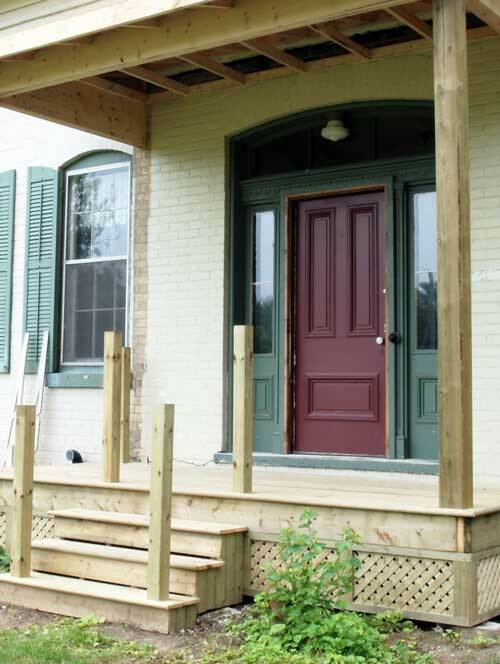 The door is a full 2″ thick and made of virgin pine, so it is a good candidate for restoration. Our concern is that without a storm or glass door we will freeze in the winter as this isn’t exactly a state of the art enclosure. Putting another glass door in front of this one would hide the door, so we are still looking for alternatives. We would like to replace the glass with some stained glass, but we are still considering that. The original mechanical door bell is still in place and works. Its an interesting feature, so we will rebuild that as well. 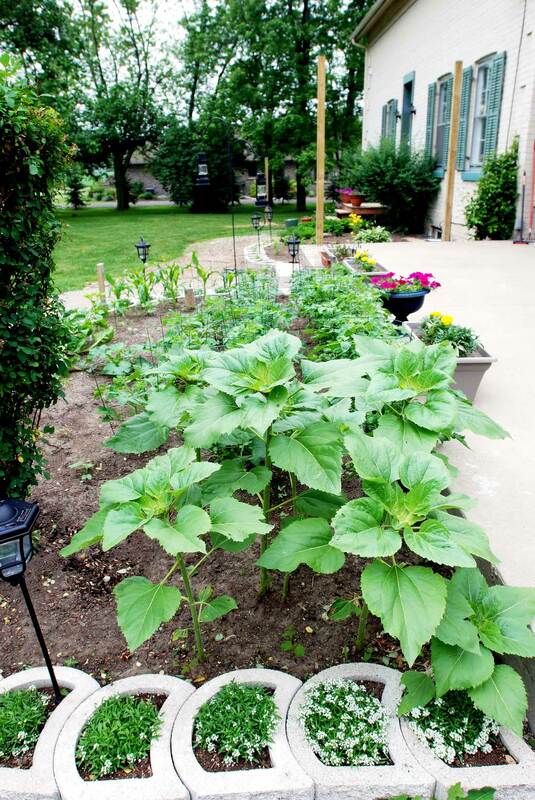 At the back of the house our little vegetable garden is filling in nicely thanks to the endless rail rain we have been having this summer. Quite a contrast from the drought we had all last year. A little perennial garden out back. 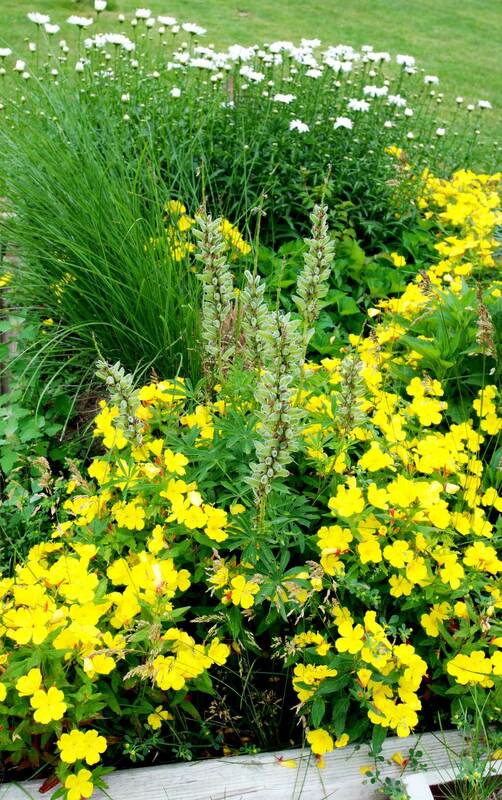 Apparently these are yellow and white flowers.